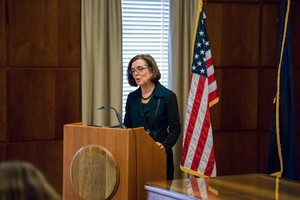 by Amanda Peacher and Conrad Wilson Follow and OPB Staff OPB Jan. 27, 2016 5:53 p.m. | Updated: Jan. 28, 2016 6:18 p.m.
UPDATE: (6:17 p.m.) During a Thursday evening press conference about the incidents that led to the arrests Tuesday of seven militants and the death of another, the FBI outlined the details of the events. The FBI also showed video of the traffic stop and the fatal shooting of LaVoy Finicum. “Looking at the white truck… about four minutes into the video … Ryan Payne exits through a back door. It’s difficult to see behind the trees, but in the lower right hand corner you can see him with his hands up being approached by the law enforcement officers and being taken into custody. “There is a period of approximately 3 minutes and 47 seconds where the truck sits on the road. … Throughout this time, agents and troopers are providing verbal commands to the occupants to surrender. We can’t comment on what may have been going on in the truck at this time, but those details may come out later as part of the overall shooting investigation. “When we come back to the video, the white truck leaves the scene at a high rate of speed. It travels some distance … quickly approaching a vehicle roadblock in the roadway. “As the white truck approaches the roadblock, there is a spike strip across the road but it appears Finicum missed it as he attempted to drive around the roadblock. He nearly hits an FBI agent as he maneuvers to the left. The truck gets stuck in the snowbank. “Finicum leaves the truck and steps through the snow. Agents and troopers on scene had information that Finicum and others would be armed. On at least two occasions, Finicum reaches his right hand toward a pocket on the left inside portion of his jacket. He did have a loaded 9 mm semi-automatic handgun in that pocket. “At this time, OSP troopers shot Finicum. “Approximately 30 seconds after the shooting — law enforcement officers at the scene deployed flash bangs to disorient any other armed occupants. … Over a period of several minutes agents and troopers worked to safely remove the remaining truck occupants, and to take them into custody,” Bretzing said. “As soon as the agents and troopers were confident that they had addressed any further threats, they provided medical assistance to Finicum. That happened about 10 minutes after the shooting. UPDATE: (5:40 p.m.) Greg Bretzing, Special Agent in Charge of the FBI’s Portland Division, spoke during a press conference Thursday night. OPB reporters are at the press conference and OPB is airing it live. Hit the listen live button at the top of this page or on the app. You can also stream the press conference on KGW. KATU will also stream it live. Bretzing confirmed that as of Thursday morning one additional person has left the refuge. He said authorities believe at least four people remain in the Malheur National Wildlife Refuge. “Since the establishment of checkpoints, a total of nine people have left the refuge. 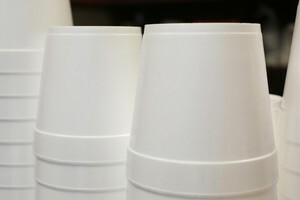 Of those, the FBI released six and arrested three,” he said. “There has been some media reporting that the situation at the refuge is resolved. That is NOT true. Again, we still believe there are occupiers on the refuge. The negotiators continue to work around the clock to talk to those four people in an effort to get them to come out peacefully,” he also said. UPDATE (5:25 p.m.) OPB’s Amanda Peacher has spoken with David Fry, one of the last remaining militants in the Malheur National Wildlife Refuge. He told her he is still in the refuge. Fry told OPB that the militants’ cars are packed and they’re ready to go, but that they want FBI assurances that there will be no arrests. UPDATE (4:14 p.m.) The FBI has announced it will hold a press conference at 5:30 p.m. at the Harney County Chamber of Commerce to address the current on-going situation at the Malheur National Wildlife Refuge. This announcement comes moments after a flurry of action at the refuge. 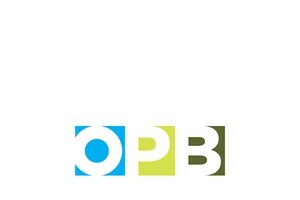 OPB reporters will be at the press conference and OPB will air it live. Hit the listen live button at the top of this page or on the app. You can also stream the press conference on KGW. KATU will also stream it live. UPDATE: (3:52 p.m.) The Oregon State Medical Examiner’s Office just confirmed that Robert LaVoy Finicum, 54, was the militant killed during the arrest of seven others on a highway near the Malheur National Wildlife Refuge Tuesday. 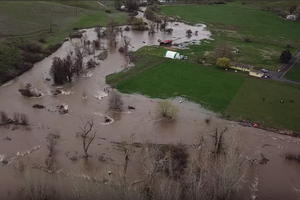 The Deschutes County Sheriff’s Office is the lead agency on this investigation and is assisted by detectives from the Bend Police Department, Redmond Police Department and Oregon State Police, according to a press release. The Harney County District Attorney has transferred review of the investigation to the Malheur County District Attorney’s office. “In the interest of transparency and to prevent any perceived conflict of interest, it is appropriate to have a district attorney with no prior involvement review the investigation. I have requested Malheur County District Attorney, Dan Norris review the investigation and make a decision regarding the appropriate use of deadly physical force,” Harney County District Attorney Tim Colahan said in a press release. UPDATE: (3:44 p.m.) OPB’s Amanda Peacher says she has seen convoys of vehicles moving in and out of the refuge for the past hour. She said it appeared that about half a hour ago a civilian was escorted out in a law enforcement vehicle past the blockade. Peacher said officials told her at least one militant remains in the refuge. She also said she has seen medical vans arrive on the scene. But she has not heard gunfire. “We do hear what appears to be planes overhead,” she said. 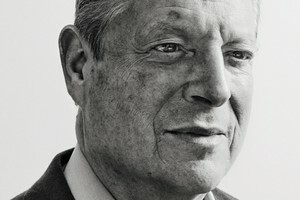 Peacher reported that the U.S. Fish and Wildlife Service does plan to go into the reserve and begin clearing things once the occupation is resolved. UPDATE: (3:37 p.m.) Authorities say the scene is secure, but at least one person is still inside the refuge. They will hold a press conference in Burns. UPDATE: (3:31 p.m.) The roadblock put in place by law enforcement is now gone. UPDATE: (3:11 p.m.) According to OPB reporters, the staging lights at an FBI checkpoint have been taken down. 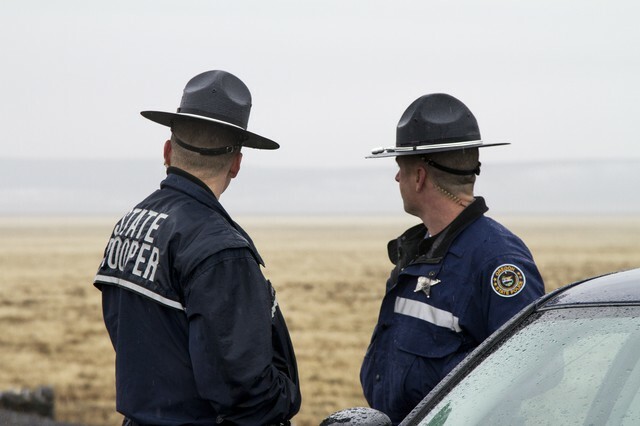 UPDATE: (3 p.m.) Law enforcement officers have driven a large convoy of vehicles into the Malheur National Wildlife Refuge. 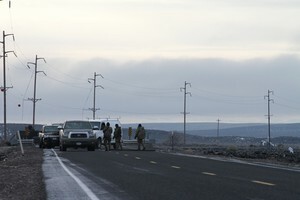 Four vehicles were seen leaving the refuge toward Burns shortly after entering. It’s unclear if the remaining four militants at the refuge have surrendered. But earlier today, two of them said they were willing to end the occupation if they could avoid charges. This is a developing story. We will continue to update it throughout the day. UPDATE: (12:55 p.m.) OPB’s Think Out Loud talked Thursday with David Fry and Sandy Anderson, two of the remaining militants inside the Malheur National Wildlife Refuge. UPDATE: (11:44 a.m.) Reading from a prepared statement from Ammon Bundy, his lawyers said he continues to call on the remaining occupiers to go home. “My message still remains. Turn yourselves in. Do not use physical force,” according to the statement. UPDATE (10:48 a.m.) Ammon Bundy’s lawyer, Mike Arnold, will hold a press conference at 11 a.m. on the steps of the federal courthouse in Portland. Bundy was arraigned in federal court on a charge relating to the armed occupation of the Malheur National Wildlife Refuge. KGW will stream the press conference live. UPDATE (9:28 a.m.) OPB has confirmed the identities of the last four militants remaining in the refuge. The four say they are willing to leave the refuge if they can be guaranteed safe passage. Also, OPB has confirmed that Duane Ehmer’s horse, Hellboy, is safe. Authorities say Hellboy is being held in a safe location until he can be released to an “appropriate person.” Ehmer is one of the three additional militants taken into custody Wednesday. All were in contact with law enforcement prior to their arrests, according to the FBI, which spent much of Wednesday in active negotiations aimed at bringing closure to the standoff outside Burns, Oregon. 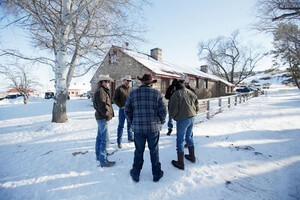 Another five occupiers were allowed to leave the refuge after they passed through law enforcement checkpoints. 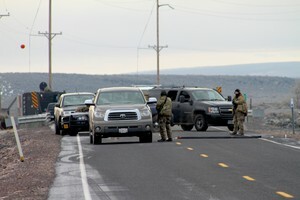 Law enforcement said that several cars were known to leave the area prior to the establishment of the FBI road closures. Their exodus followed calls by incarcerated leader Ammon Bundy to give up the occupation Wednesday. “To those remaining at the refuge, I love you. Let us take this fight from here. Please stand down. Go home and hug your families. This fight is ours for now in the courts. Please go home,” Bundy said through a statement released by his attorney. 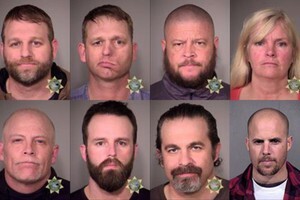 Bundy issued the statement after he and seven others appeared in federal court in Portland to face charges associated with the occupation. An eighth occupier who was arrested in Arizona Tuesday also faces federal charges. 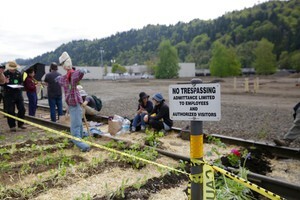 Speaking with OPB Wednesday night, militant David Fry said five people remained in the occupied refuge. 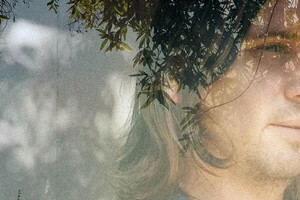 He said that he personally had no plans to leave at this time. 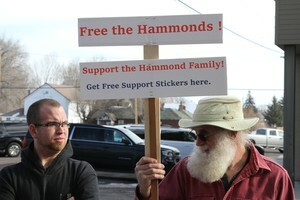 The armed group of militants, led by Ammon Bundy, first took over the wildlife refuge Jan. 2, following a protest over the sentencing of local ranchers Dwight and Steven Hammond. At the height of the occupation, their numbers reached dozens. The leaders of the occupation, including Ammon and Ryan Bundy, were arrested Tuesday afternoon, and one militant — Arizona rancher LaVoy Finicum — was killed during the arrest operation.